You can deal confidently with Eastern Numismatics. 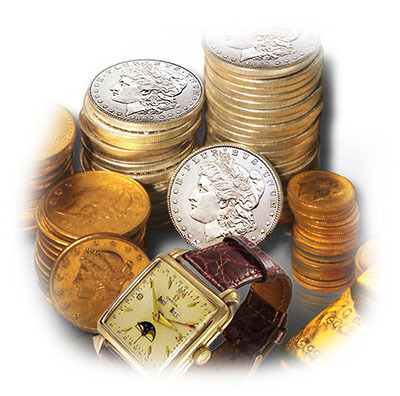 We have been helping investors and collectors since 1974 and are members of all major consumer and trade organizations, including the American Numismatic Association, the Better Business Bureau and the Professional Numismatists Guild. Stop by for the best offer! The Professional Gold Buyers at Eastern Numismatics, Inc.
OUR GOAL IS TO MAKE YOUR SELLING EXPERIENCE BOTH PLEASURABLE AND PROFITABLE. Please email to: JDP@uscoins.com to confirm your sale to ENI prior to shipping.